People have been clamoring for ages for a proper SimTower successor. It would seem that skyscraper construction simulators are a very niche genre. Sure, we have a few mobile releases from Kairosoft and NimbleBit that may scratch that itch, but it's not like they can really compete on the same level. This is why so many fans of the genre were ecstatic when Kalypso Media's Project Highrise hit the scene. It was received very well when it originally released on PC back in 2016, and to my delight, it has been ported to Android and is officially available on the Google Play Store for $3.99. The first thing to point out is that this is a game that works best on tablets thanks to the amount of text and buttons displayed on the screen. But that doesn't mean it isn't also compatible with phones. I was able to install this on my OP5T and GS8+, and I feel my experience has been perfectly acceptable, though some people may feel that the text is a little too small for 6" screens and under. So please consider this before you make a purchase. Another issue I noticed is that the game is listed as compatible with the Shield TV. This listing is a mistake because it can't actually be installed on the device. It is also worth pointing out that there is no controller support. This is a touchscreen-only game. But past those few niggles, this is an excellent release. The simulation tower building gameplay is just as great as it is on PC. There is a full campaign mode that includes a few different difficulty levels and starting conditions to work your way through, plus you get a tutorial mode that teaches you the ropes along with a free play mode that lets you create however you like. Rest assured, there is a ton of content to explore that can easily keep you busy for hundreds of hours. And if you don't believe me, just check out all of the positive Steam reviews. Now since this is a mobile release, the monetization has been changed to suit our more casual gaming ecosystem better. 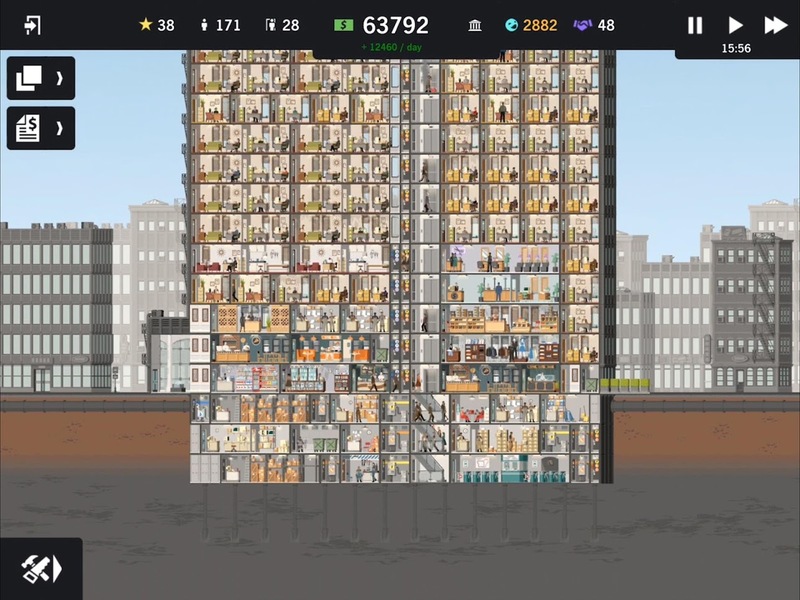 You can grab Project Highrise from the Play Store for $3.99, but there are also a few in-app purchases included in the title that are used for expansion and content packs that range in price from $0.99 - $3.49. I am of the opinion that simulation games tend to port great to touchscreen devices thanks to their original mouse controls that convert well to touchscreen inputs. This is easy to see with the release of Project Highrise, which is why I am so happy to report that it is not only a faithful port but also a title that lends itself quite well to mobile gaming. 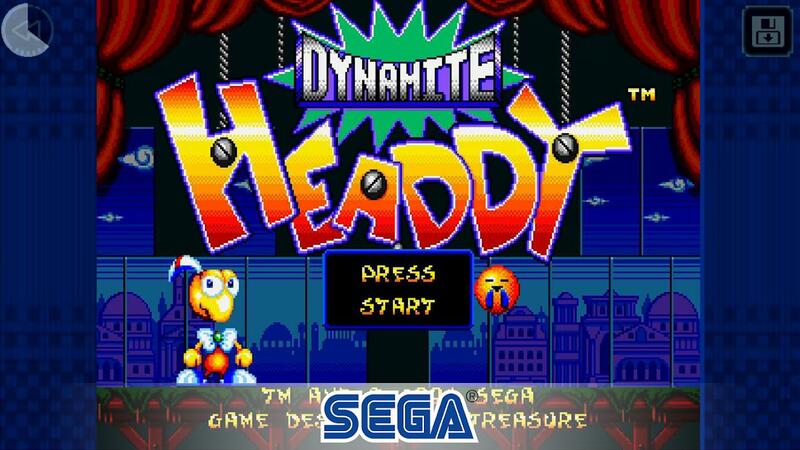 If you at all enjoy simulation tower building games or have been searching for a spiritual successor to SimTower, your day has finally come. Seriously, this is probably the best tower construction sim out there today, and now that it has released on Android we can all enjoy it from the comfort of our phones and tablets. Hamburg, Germany – 12 April 2018. Game publisher and developer Kalypso Media along with developer SomaSim, today announced the launch of smash hit PC skyscraper construction sim Project Highrise on iPad and Android tablets. Delivering sky high thrills to armchair architects around the world, Project Highrise has been extensively redesigned for touchscreen devices. · Deep and complex simulation of a modern skyscraper. · Huge variety of tenants with their own unique characteristics, from restaurants, to offices, retail stores, or residential apartments. · Open sandbox play with several difficulty levels and starting conditions allowing you to build your dream skyscraper towering above the surrounding city. · Campaign mode that tests your skill at building a successful highrise in challenging scenarios. · Test your management mettle by keeping up with your buildings diverse population and their ever-increasing demands. · Hire specialized consultants to increase your building's curb appeal, operational efficiency, and pull with city hall. 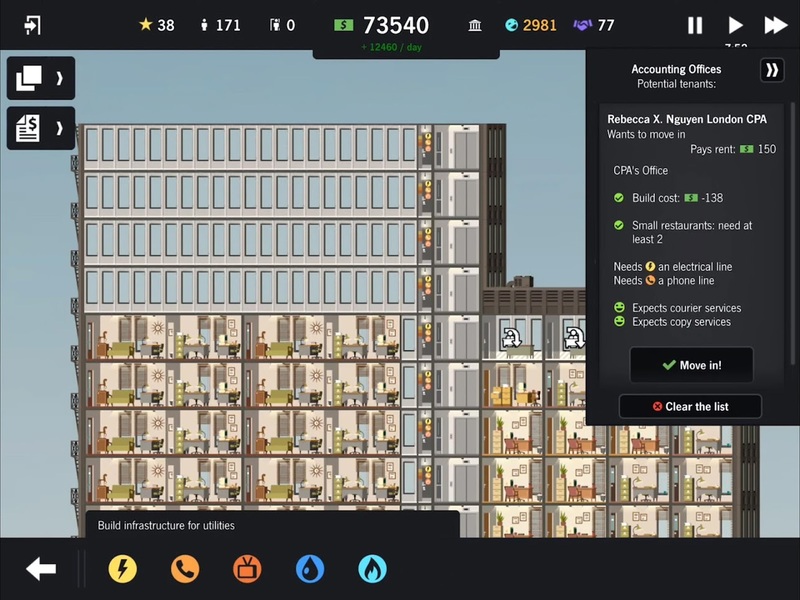 Project Highrise is also available globally for Android tablets priced at £3,99/ $3,99/ 4,49 Euros.